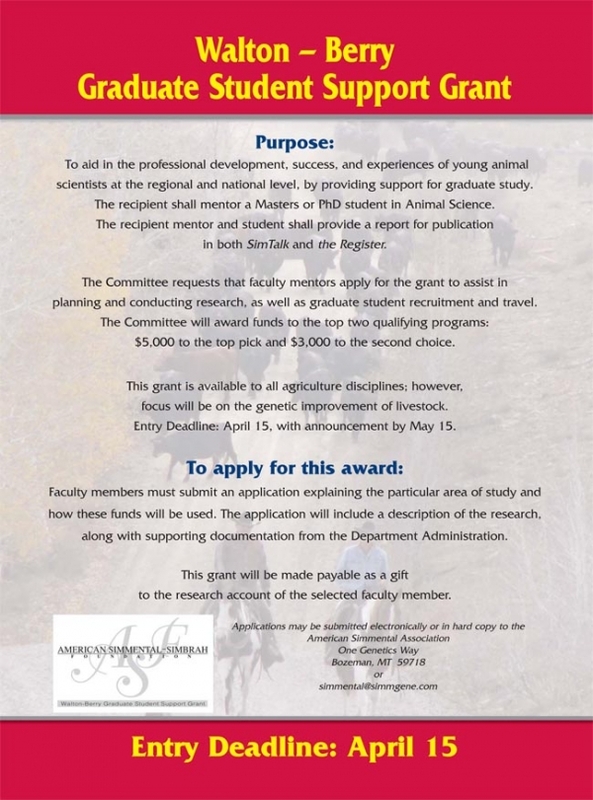 The American Simmental Association is calling for applications for the Walton-Berry Graduate Student Support Award. Applications are due April 15th, 2019 and the winner will be announced on May 15th. Applications should be submitted by faculty members in Agriculture to support graduate research, recruitment, or travel (with priority given to advancing genetic improvement of livestock). The award (either $5,000 or $3,000) will be payable as a gift to the research account of the selected faculty. In return, the award recipient will provide a report for publication in ASA magazines (SimTalk and the Register).